If you're planning a visit to Belize in the future, or if you're lucky enough to call the gorgeous Central American nation home, then you probably already know all about the stunning beaches and the endless water activities available. Ambergris Caye, in particular, is a haven for those who want to soak up the sun and get a rush in the sea. 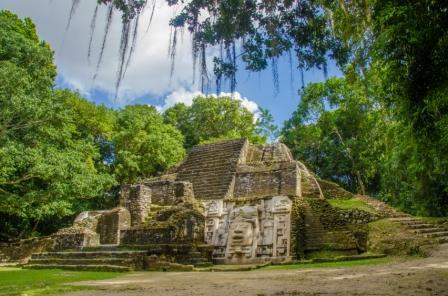 To explore the mainland of Belize and experience some serious thrills, plan a day of adventure that includes activities like tubing through ancient Mayan caves and then ziplining through the rainforest. Whether you live at the Grand Baymen Resort or you are just visiting and staying at the Exotic Caye Beach Resort, one of the perks is being able to depart for mainland tours right from the property. Instead of dealing with public transport or navigating in your own vehicle, you can kick back and enjoy letting a local expert guide your way. One of the most popular day trip destinations is Caves Branch National Park, located on the mainland of Belize in the Cayo District. Tour groups typically take a ferry to Belize City from Ambergris Caye and then make theÂ journey to the Caves Branch National ParkÂ by shuttle or bus in less than an hour. Archeological digs reveal that for more than 2,000 years, Caves Branch was used as a ceremonial location for the ancient Mayan people. In the 19th century, the river was used as a way to quickly transport timber from the forests inland all the way to the ports near Belize City. The first half of the day will be devoted to the nonstop excitement of ziplining through the air in the middle of a lush green rainforest. To get to the first of the many platforms, there is a 10 minute hike that gives you an incredible view of the region. It only gets better as you strap yourself into a harness and take off from the starting platform at a height of 70 feet. Each of the zips go between platforms, and each offers a bigger rush than the last. You'll get a bird's eye view of the forest canopy and the chance to spot wildlife from a whole new perspective. The second half of this whirlwind adventure takes place below ground rather than among the treetops. After a 30 minute hike, the tour group will arrive at the entrance of the tunnel that the Caves Branch River runs through. Each person can climb into their own inflatable tube and float their way through this incredible cave system once used by the Mayans as a ceremonial site. It is dark in the cave, so flashlights help you spot the stalactites clinging to the cave's roof, the stalagmites growing up from the ground and the crystal structures that give this underground world an ethereal quality. If you want to set off on a day of fun and adventure that you'll never forget, nothing is better than ziplining and cave tubing in the Caves Branch National Park of Belize. Learn more about living, vacationing, and investing in Belize.